Bachelona festival is a clever wordplay on a well-known city and another, equally well-known composer. Celebrating the life and work of Johann Sebastian Back, the third Bachelona festival will bring the best of classical music to the heart of Barcelona. Welcoming the Amsterdam Baroque Orchestra soloist Tom koopman, the festival is set to kick off on Jul 23rd with a grand opening concert. Koopman will bring a fine selection of Baroque pieces, entertaining all who seek a classical remedy in the hot summer months of Barcelona! Nits Gaudí is a three month long cultural event, where forty-seven concerts of various genres are presented between the hot summer months of June and September. The concert series is one of the most important cultural events of not just Spain, but the whole Mediterranean area. With international performers like Mishima (July 28th), Andrea Motis (August 18th) and Jarabe de Palo, everyone can find something to love. These well-known performers truly shine as a great example of the colorful cultural life of Barcelona! Concert tickets start at EUR 19, but for your money you get an immense cultural experience. Well worth every cent – in our opinion! Does Twisted Sister, Judas Priest or maybe Scorpions sound familiar? 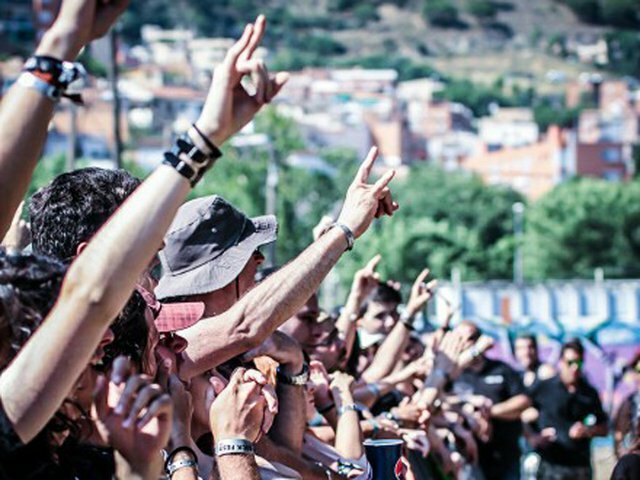 If yes, Rock Fest Barcelona is the place to be! On the weekend of July 23rd, the airways of Barcelona will be filled with hard rock! An excellent weekend for those in love with jumping around! And if you ever feel lonely just remember, with Pub Crawl Barcelona you can always go out for a night of intense partying, and meet new people, make new friends! After all, the summer is far from over…!